First things first , avocado is a fruit, not a vegetable and actually belongs in the berry family. Loaded with potassium (nearly twice as much as bananas), and amino acids, this creamy power food is hard to beat. Need protein? Avocados contain about four grams, among the highest of all fruit. 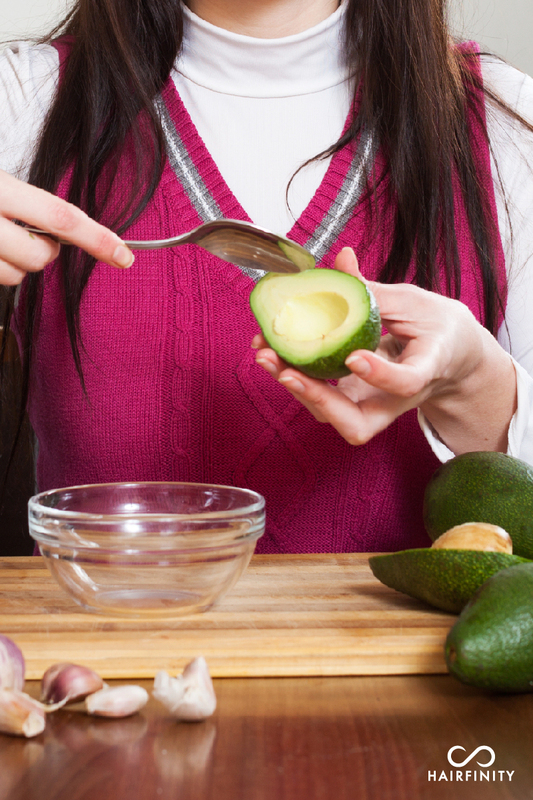 And did you know you can substitute avocados for butter in many recipes – now you do! When it comes to hair, avocados really “shine”. Historical evidence shows that as far back as early Egypt people used avocado to prevent hair loss and as a natural moisturizer. Today we still use it for its moisturizing properties; it makes hair shiny and supple and keeps the hair and skin moisturized. 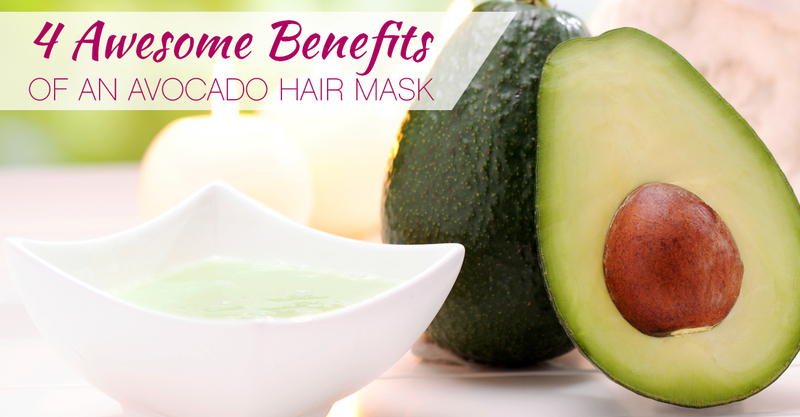 Perhaps the best way to utilize the avocado’s many beneficial properties for hair is as a mask. Due to heat styling, chemical treatments, environmental pollution, and even exposure to wind and sun, many people struggle with hair that is dry, damaged and weak. Avocado is like a superhero for dry hair. Chock full of vitamins A, D, E and B6, avocado is also high in proteins, amino acids, magnesium, folic acid, copper and iron. It is important that you use products that are gentle on the hair because you may not always have time for a diy treatment. If you’re looking for a gentle cleansing HAIRFINITY Haircare is natural and contains no parabens or other ingredients that can be damaging to your hair. The oils in avocados are one of the few that can penetrate the cuticle and actually moisturize hair. Speaking of oil, you can also use avocado oil on your hair. The monounsaturated fatty acid content in avocado oil is higher than extra virgin olive oil— one of the main reasons it is so good for your hair. 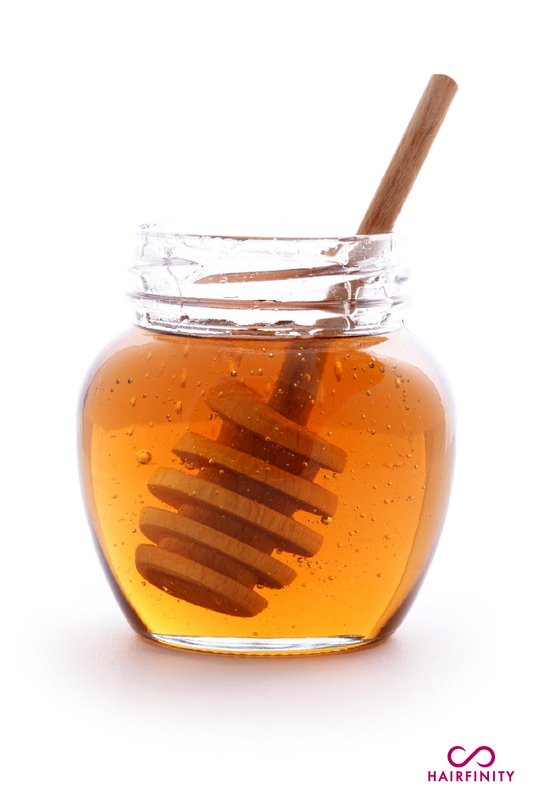 When applied directly in a hair mask, monounsaturated fats can moisturize, nourish and strengthen hair strands. This protects your hair from damage and leaves it looking radiant and healthy. 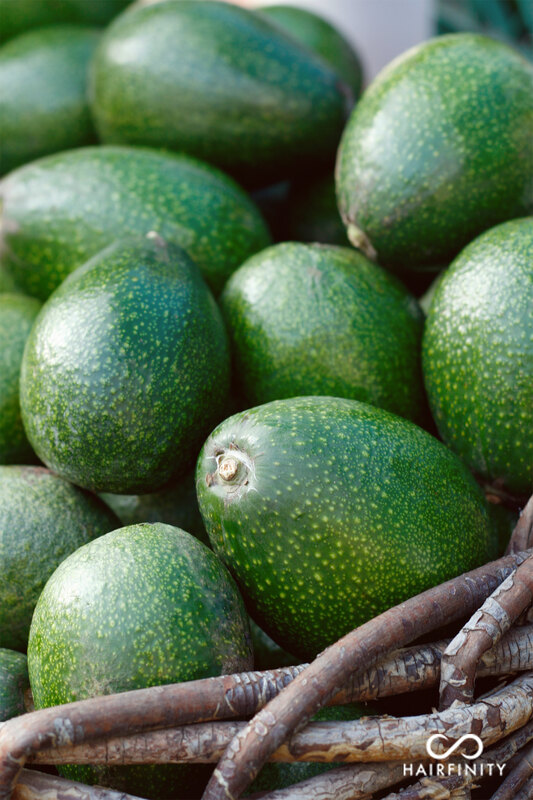 The monounsaturated fatty acids, phytosterols, and high levels of antioxidants like vitamin E in avocados are well absorbed into our scalp and hair shafts. This not only has a highly moisturizing and protective effect against environmental stressors and damage, it may also stimulate new growth and help unclog blocked follicles. Leave in for approximately 10 minutes then rinse. Shampoo and condition as normal. Bonus! Avocado oil also acts as a natural sunscreen, providing a barrier to help protect the hair and scalp against harmful UV rays. Whisk egg as if you are going to scramble it. In a separate bowl, mash avocado and mix in honey and essential oil. Apply to hair and cover with a plastic shower cap or plastic wrap . Leave on for 15-20 minutes. Rinse well with lukewarm water. (Warning: do not use hot water or you will cook the egg in your hair). Though most of us would like our hair to grow faster, few of us actually know what causes slow hair growth. We think whatever rate our hair grows at must be what we’re stuck with. But this is not the case. Hair growth is a fragile metabolic process that we can assist or stall depending on a variety of factors. Nutritional deficiency is one of the most common reasons for slow hair growth. If you’re not eating enough or not eating the right food, soon you will start to notice that your hair looks dull and lifeless and doesn’t grow as fast as it used to. Our bodies need the right fuel, in the right amounts, to work properly—including protein, vitamins, minerals. If you don’t know which foods and what amount you should eat to get your hair growing its best you should try a vitamin supplement. Hairfinity hair vitamins will give your hair what it needs to grow stronger, longer and healthier. Listen to your body; it’s telling you it needs more or better fuel! Prescription medication can also affect hair growth. You should talk to your doctor if you notice a change in hair growth or any hair loss once you start taking a new medication. Hormones influence the rate at which your hair grows, as well. Pregnancy, menopause, hormone replacement procedure, thyroid issues, and even oral contraceptives can all alter your hair’s appearance, texture, and rate of growth. Also on the list of slow hair growth culprits are stress, lack of sleep, smoking, and overindulging in coffee. (A little coffee can actually boost your health but too much interferes with the body’s ability to absorb minerals such as iron and magnesium). Finally, with harsh or frequent chemical hair treatments—such as relaxing, bleaching or perming hair—we can be our own worst enemy. These styling processes can not only make your hair lifeless, damaged, and prone to breakage but can also seriously stunt hair growth. Don’t panic! You don’t need to turn your life upside down to help your hair grow faster. Avocados are high in vitamins B and E, which work at the cellular level to protect and strengthen hair. Vitamin E helps repair damage on the scalp, which may slow or prevent hair growing. Vitamin B is essential for hair growth. Avocado locks moisture into hair cells, nourishes hair cells, and strengthens hair roots, shaft and strands. When combined with egg yolk—which also promotes hair growth because of its protein and lecithin that strengthens hair follicles and roots—avocado makes a growth-enhancing hair mask that will leave your hair silky and soft to touch! Crack the egg and separate the egg yolk. In a bowl, whisk it until it turns into a frothy liquid. In a separate bowl, blend an overripe avocado finely. Combine with the egg yolk and mix well. Apply the hair mask mixture to wet hair, starting from your scalp to your hair ends. Massage the mixture gently onto your scalp for 5 minutes. Rinse hair thoroughly with lukewarm or cold water. (Warning: Do not rinse with hot water or you will cook the egg in your hair). Not all causes of dandruff are medical but scalp psoriasis (a skin condition that causes rapid skin cell development), seborrheic dermatitis (similar to scalp psoriasis), and eczema (similar to scalp psoriasis but much more chronic), are common. As always, it’s important to talk to your doctor about any medical condition or sudden changes in scalp or hair health. Stress and diet can trigger or contribute to dandruff, so you’ll want to make sure you’re caring for your whole body and not simply your head! Regular exercise such as yoga or Pilates can help keep both body and mind relaxed. Washing your hair on a regular basis, sticking to one shampoo, and choosing a mild shampoo that is suitable for your hair type will help prevent dandruff. You also want to keep your scalp moist—dandruff loves a dry scalp! When it comes to moisture, look no further than the avocado. This miracle fruit seems custom made to keep our bodies and hair buttery soft. Avocado oil helps rejuvenate and moisturize the scalp. A rich source of proteins, amino acids and vitamins, avocado helps soothe the scalp and promotes long, strong, healthy hair growth. We’ve all been there. One day we look at our hair and realize it has lost its shine, bounce, and softness. Why? Where did it go? And, more importantly, how can we get it back? An average person has about 100,000 hairs on their scalp. (Redheads have less, about 90,000, while blonds have more, about 140,000). Each hair shaft has three layers, two inner layers protected by the cuticle (outside layer), and each hair grows an average of nine inches a year. On average, we shed about fifty to one hundred hairs per day. If our cuticle layers are in good health, the layers of the cuticle are so tightly bound together that the light is able to reflect off the cuticle. This is what makes your hair shine! But when the cuticle layers are not tight together, your hair will feel coarse and brittle. This makes hair absorb light and not reflect, which gives a surface appearance of dull and lifeless hair. Along with regular trimming, use of mild shampoo, and resisting the urge to over-style, one of the ways we can put shine and life back into our hair is with a regular, weekly avocado hair mask. In this mask, we’ve added banana for extra shine and essential oils to leave your hair smelling beautifully. Banana is rich in natural oils, potassium, carbohydrates and vitamins which help soften the hair and protects the hair’s natural elasticity. A few drops of any essential oils you like, such as rose, lavender, jasmine, sweet orange, etc. In a medium sized mixing bowl mash banana and avocado together well. Add the oils and continue to mix well. Apply the mixture to your hair and cover with a shower cap or saran wrap. Let sit for 15-20 minutes. Whether your hair is dry, dull, slow to grow, or suffering from dandruff, an avocado hair mask can bring back it back to life!